UK Prime Minister Theresa May today addressed MPs at the House of Commons ahead of an EU summit this Wednesday. She told MPs that UK and EU weren't "far apart" as she insisted the UK must be able to terminate the Irish backstop. May hinted that the Commons voting for a second Brexit referendum might be possible upon failure to agree on a deal. She reiterated her opposition to a second referendum saying it would dishonour the 2016 referendum result. "We are working to get a good deal with the European Union," she said. "If it were the case that at the end of the negotiation process actually it was a no deal, that both sides agreed that no deal was there, then actually that would come back to this House, and then we would see what position this House would take in the circumstances of the time." May also confirmed she accepted an invitation to provide a Brexit update from President Tusk and will address her fellow EU leaders this week as she seeks to ensure a deal is struck. 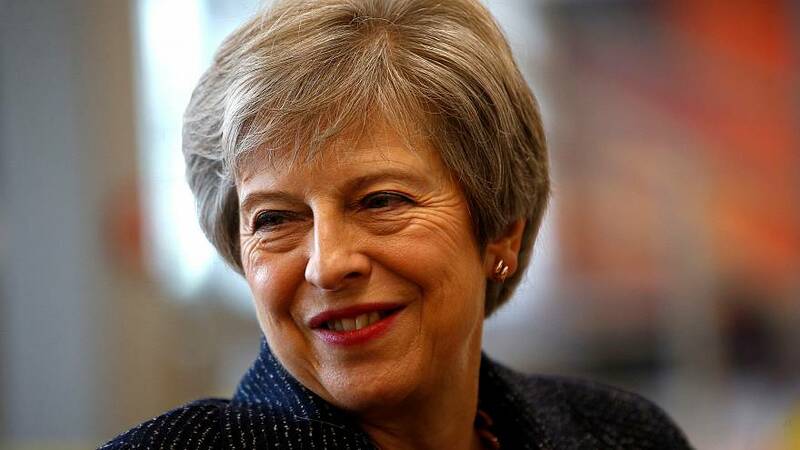 The British prime minister will give the UK government’s “assessment of the negotiations” before her 27 European counterparts break off to discuss how to approach the remaining talks. Brexit talks ended in deadlock Sunday, after the meeting between European Chief Negotiator Michel Barnier and British Brexit minister Dominic Raab terminated after just one hour, leaving key issues such as the Irish border unresolved. The meeting this Wednesday among EU leaders in Brussels was considered a deadline for a Brexit deal to be reached. However, with just days remaining, many suspect that the timetable may shift. The Irish border has remained the key stumbling block to negotiations, with the EU proposing that Northern Ireland remain within the European single market, a suggestion which has been dismissed by Brexiteers. The Democratic Unionist Party (DUP), which props up May's minority government, warned that they may vote down her budget proposal on October 29 should they be unsatisfied by an Irish border agreement.